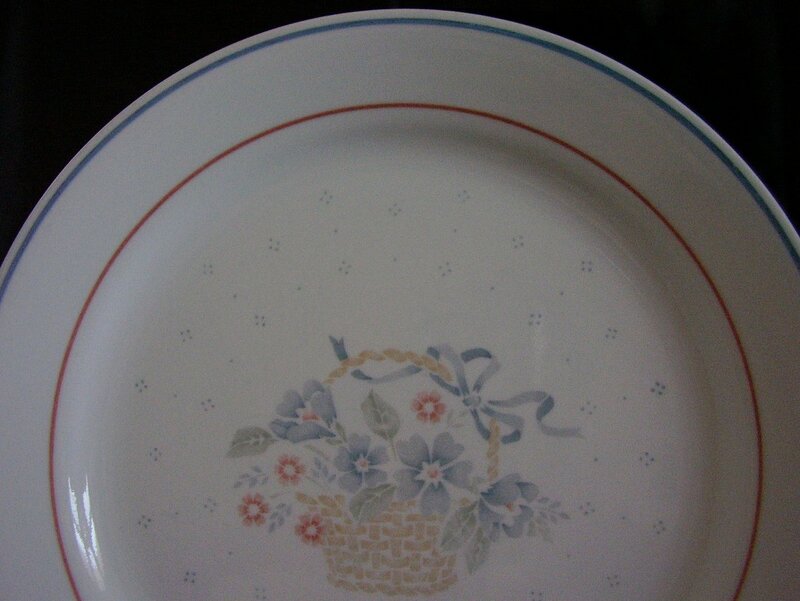 Corelle Country Cornflower dinner plate. Pattern is retired. Features a woven handled basket that is full of baby blue cornflowers, greenery and some pink flowers. 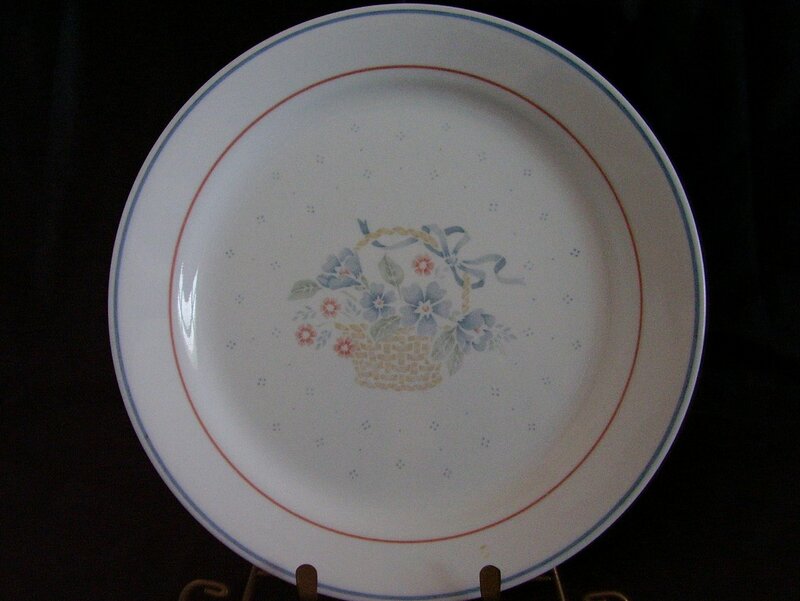 Corelle Country Cornflower dinner plate. Pattern is retired. Features a woven handled basket that is full of baby blue cornflowers, greenery and some pink flowers. The plate is white with the cornflower blue and peachy pink bands around the rim, there is a dotted pattern around the basket. Microwave and dishwasher safe. In good used condition, it has no cracks, chips. Decals are bright, shiny and intact. There are light utensil marks. The bottom shows wear from sliding around. Measures 10 1/4 inches in diameter.